Hot hatches? Come on, you can do better now. The world has its problems and always will, but the very existence of these two hot hatches can make things better for those who buy them. But wait, are these even hot hatches? Shouldn’t we be calling the Ford Focus RS and Mercedes-AMG 45 hyper hatches? Probably, yes. That’s exactly what Auto Express has done when it brought these rivals together for a head-to-head comparison. 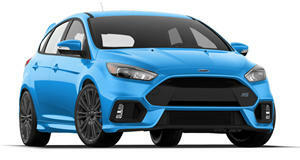 The Focus RS is powered by a turbocharged 2.3-liter four-cylinder, which normally produces 345 hp and 347 lb-ft of torque. However, this tested Focus RS features the Mountune performance pack, increasing output to 370 hp and 376 lb-ft of twist. In the UK, at least, that kit costs only an extra £895, for a grand total of just around £31,000. In the US market, there’s a number of Mountune performance upgrades to choose from for similar prices. Literally, the Mountune Focus RS is nearly in supercar territory, as is the Mercedes-AMG 45 4Matic, which is sadly not sold in the US. It comes powered by a turbocharged 2.0-liter four-cylinder with a total of 370 hp and 369 lb-ft of torque. On paper and in practice, both hyper hatches are very similar, but perhaps their biggest difference is price. 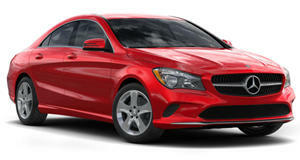 Mercedes is a luxury brand while Ford isn’t. That simple. But is the Mercedes-AMG 45 worth the extra dough over the Ford Focus RS, even when taking the Mountune upgrade into account? Time to find out.